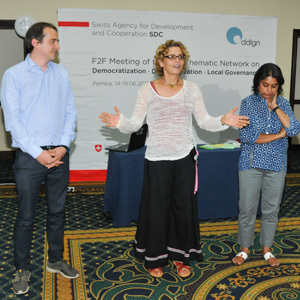 The face-to-face meeting ended with a positive feed-back to the organizers: Many participants said that the meeting’s topics and methodology were relevant and useful, and they will be able to take back to office a series of learnings from experts and peers. The meeting showed the wealth of experience available and commitment within SDC, and a huge potential for fruitful exchange among peers. The DDLGN will continue to be useful to its members – and serve as a catalyst for expertise and experience sharing and learning among specialists inside and outside SDC.